There are plenty of office spaces in Toronto, but choosing an office for rent Toronto that best suits your needs and wants takes a little bit of work. There are several factors that go into making your choice of which office space for rent works best for you. These include; location, cost, lease options, furnishings, telephones and office equipment, building and area amenities, extra costs and other extra services that are available. Location – Where do you want your office? How important is the location vs the cost? Do you want to be uptown or downtown? Do you want an office for rent Toronto in the core or just outside of the core? Do you want an office at a prestigious address? Do you need convenient access to public transit or easily accessible parking? Do you need a location that is easy for your customers or suppliers to get to? Narrowing down locations is probably the most important first step and can help make it easy for you in choosing an office for rent Toronto. Cost – What is your budget? Knowing what you want to spend on an office space rental can also help to reduce the number of places you need to look at when choosing an office for rent Toronto. You also want to know what is included in that cost so that you can compare apples to apples. Some offices for rent Toronto include electricity and furniture; others charge extra for electricity and require you to provide your own furniture. Lease options – What are your leasing options? Does the office space Toronto you are looking at require you to sign a long-term lease, a short-term lease or can you go on a month-to-month rental agreement? Choosing an office for rent Toronto can come down to what leasing options work best for you and your company. If you only need Toronto office space for a short time or you anticipate outgrowing it in a short period, you probably do not want to sign a long-term lease. Furnishings – Is the office furnished or will you require your own furnishings? If the Toronto office for rent includes furniture, what type or size of furniture is available? Are the desks large or small? Are there credenzas and shelving available? Another important question to ask: can you bring your own furniture instead? Choosing an office for rent Toronto that gives you options about office furniture could be very important if you already have a office suite set. Telephones and office equipment – How quickly can you get telephones set up? Is there office equipment such as fax machines and photocopiers already in place? How much does it cost for a telephone service provider to use existing office equipment? Building and area amenities – What are the building amenities or what amenities are available in the area? Are there convenient places to get something to eat or drink? Is there nearby banking or ATM’s? What is there within walking distance of the office space rental building? Are there caterers nearby for delivering lunch for a meeting? 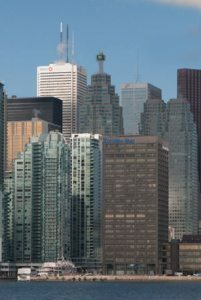 It’s common for businesses choosing an office for rent Toronto to look not only at what is in the Toronto office space, but what is around it. Extra costs and other extra services available – What are the extra costs? Do not be afraid to ask the rental agent what the extra costs could be for things not included. What other services are available? Choosing an office for rent Toronto that has other available services like accounting, bookkeeping, secretarial, graphic and web design, photography and dictation service, may save you money by having them on-site, and can be the difference between an office space and great office space Toronto.